When you are applying for employment, how you format your cover letter is important because that letter is how you are going to make the best impression on the employer. If your letter isn’t easy to read, it can knock you out of contention for a job. When you are writing a cover letter to mail the first section of your cover letter should include your contact information and your employers information. If you are emailing your cover letter, your contact information is included in the signature. The body of your cover letter is the section of the letter that tells the hiring manager what position you are applying for and why the employer should select you for an interview. 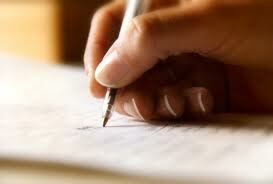 The first paragraph of your letter explains why you are writing. Include the position you are applying for and where you saw the listing. If you have any contacts or a person who referred your to the job include it here. This section should describe what you have to offer the employer. Make sure you understand the position and use similar wording to describe your skills and strengths. Finish your letter by thanking the employer for considering you for the position. Include information on how you will follow-up. When you send a paper cover letter your signature just needs to include your first and last name. If you are sending an email cover letter include all of your contact information in the signature line.